MOCAP Custom Molding Group has invested heavily in leading edge technology contributing to our position as Plastic and Rubber Molding Specialists. 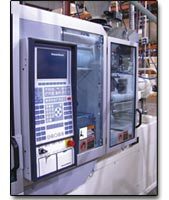 With CAD/CAM links to CNC equipment, in-house and out-sourced tooling and state-of-the-art injection and compression molding machines, MOCAP CMG provides the quality, experience and service demanded by todays users of rubber and plastic molded parts. Cryogenic Deflashing to virtually eliminate flash and excess material at critical areas. 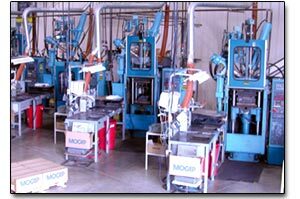 Punching and Slicing to produce holes, shapes or sizes not possible by molding. Post-Curing to alter the materials properties. Assembly to produce ready-for-use products from component parts. boxed and shipped as needed.